This is a big pile of Addy’s awesome oatmeal raisin cookies! 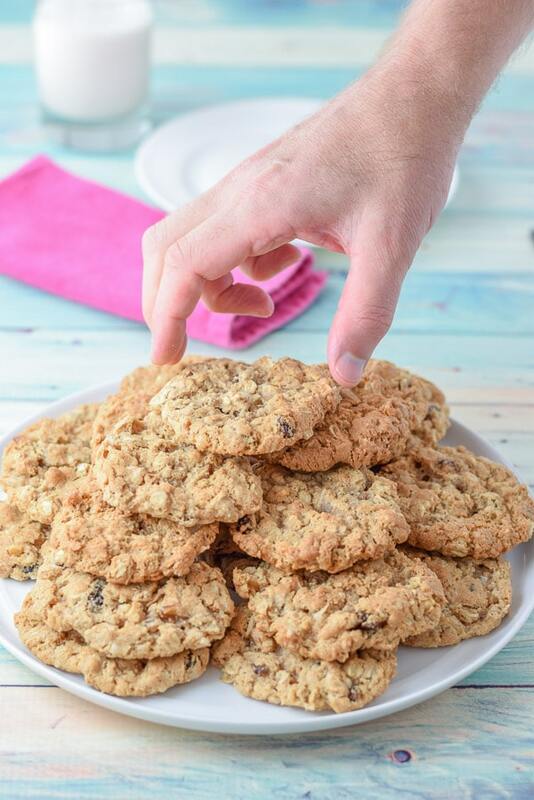 They are crispy, yet soft and succulent and the best oatmeal cookies I’ve ever had. And Christopher is stealing one! I don’t blame him. They are delicious. They’re the best oatmeal raisin cookies I’ve ever had. Really! I had to work long and hard to get this recipe. When I worked at a medical center in California, I worked with a lovely woman named Adelaide – Addy for short. We worked closely together and she acted like a pseudo mom to me. But she was territorial about her oatmeal cookies. She told me that this recipe was her grandmother’s. Don’t you want everyone to know how delicious these cookies are? One of those arguments worked. Did I feel guilty? A little, but Addy ended up telling me that she wasn’t really sure why she hadn’t given out the recipe before. She guessed it was because her grandmother kept it so secret. I’m so glad she gave it to me. Addy died many years ago, but her memory and her cookies live on. Since this is a food blog, after all, I plate the cookies for show! So am I but I still have more photos to take. Which I do as fast as I can. Those cookies are calling to me. 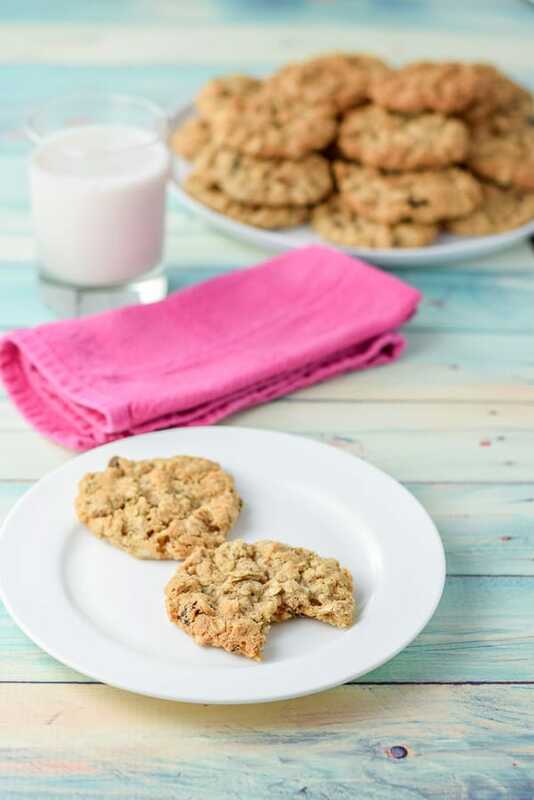 I hope you enjoyed this oatmeal raisin cookies recipe! Please feel free to leave me a comment! What is your favorite cookie? 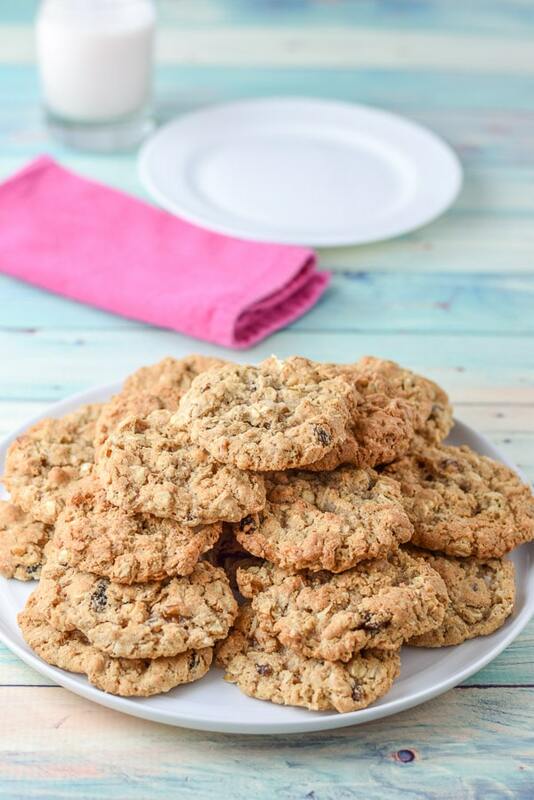 Moist, delicious oatmeal raisin cookies! The best you've ever had! Hello, can you please tell me how many eggs to use? Thank you so much for catching that! I modified the recipe. It is 2 eggs! Thanks for visiting the site Hallie! Oatmeal cookies are the best! Plus I’ve always loved raisins so I can’t wait to try these. 🙂 I know so many people who hate raisins which I just can’t understand. I mean, they’re so tasty! I love a good oatmeal raisin cookie! These look yummy and simplistic! These would be perfect for a Christmas cookie exchange! Classic! I love it! Mmmm! 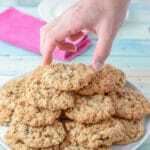 I love a good oatmeal cookie recipe. So chewy and full of flavor. Addie sounds like she was quite the lady to safeguard her grandmother’s recipe like that. Glad she finally told you though! What is spelt flour and have you made these with any other flour. Yes, you can use the same amount of any flour. It reacts the same! I just chose sprouted spelt since I feel it’s healthier! But I’ve made plenty with all purpose flour. 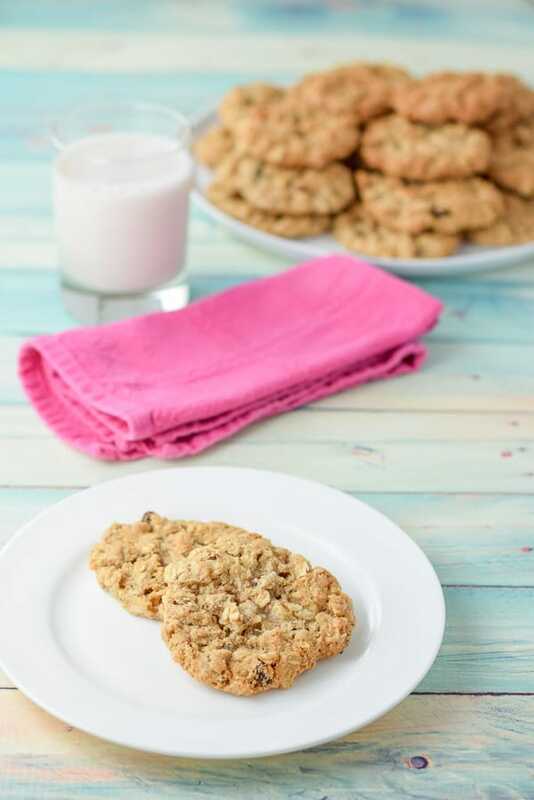 I think oatmeal cookies are my favorite cookies and these look fabulous!